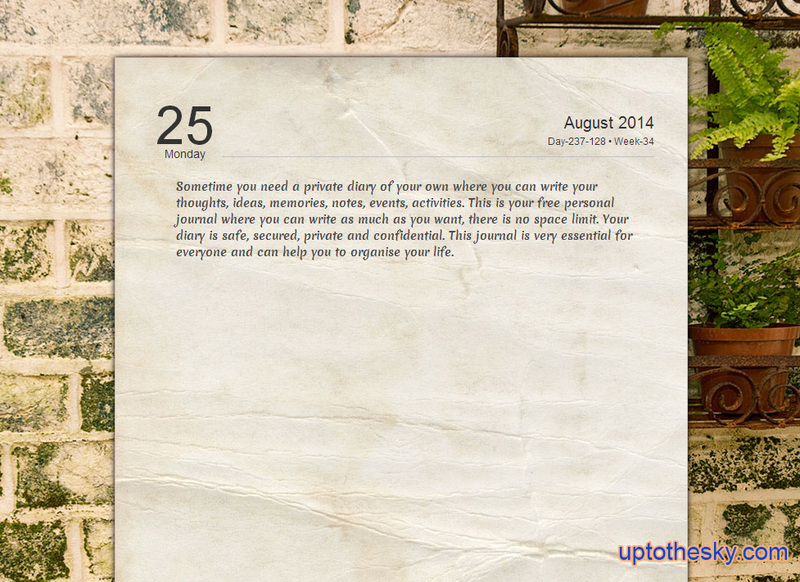 Uptothesky is your personal diary and journal. 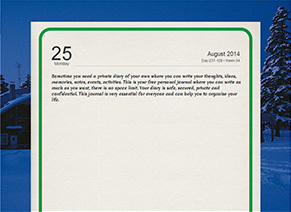 It's free and suitable for personal and business use. 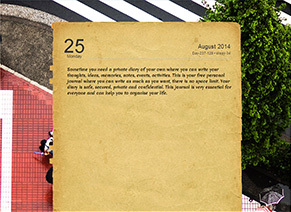 Sometime you need a private diary of your own where you can write your thoughts, ideas, memories, notes, events, activities. This is your free personal journal where you can write as much as you want, there is no space limit. 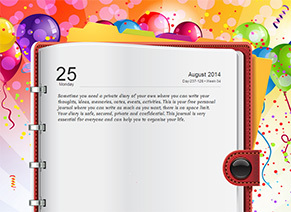 Your diary is safe, secured, private and confidential. 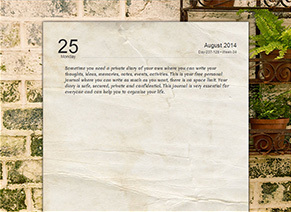 This journal is very essential for everyone and can help you to organise your life. 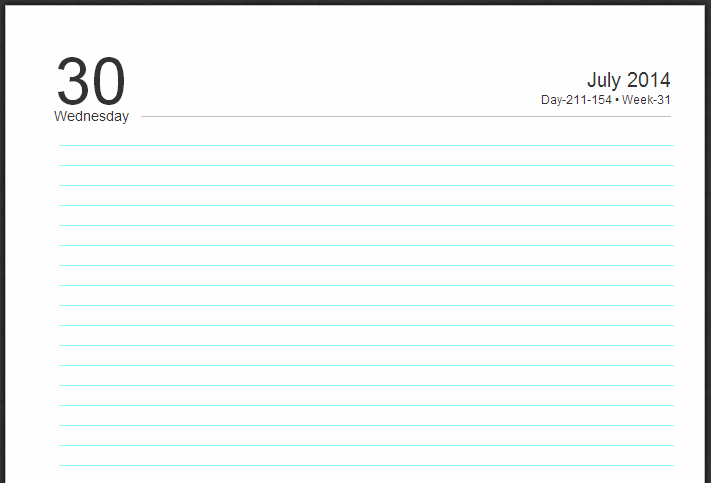 This is a very user-friendly address book software that can be accessed from anywhere and anytime. You can export your addresses to excel or PDF format and print your contacts on address labels. 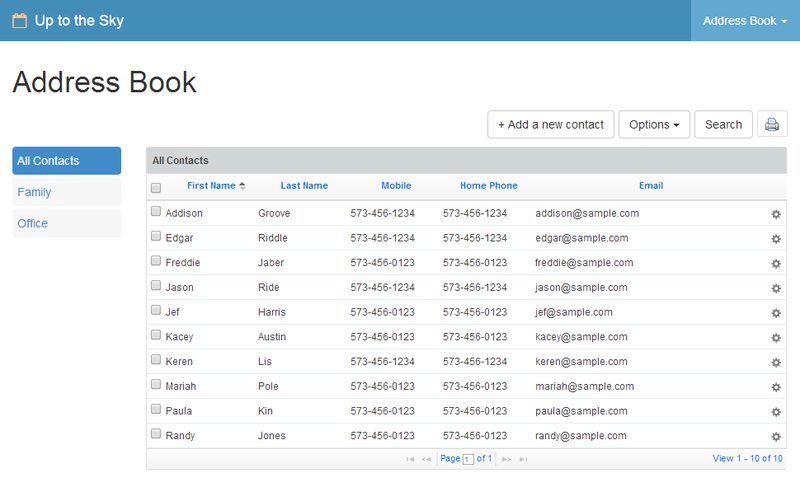 You can easily import your contacts from other applications, so you can store all your contacts in one place. If you need to send an address to someone, you can send by email or send vCards which can be imported to any mobile devices. 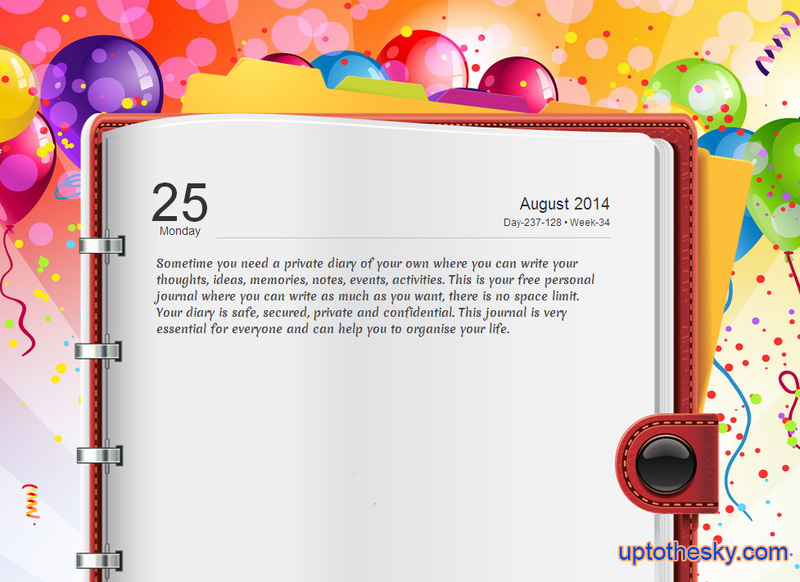 You also get automatic reminder of birthdays and anniversaries. 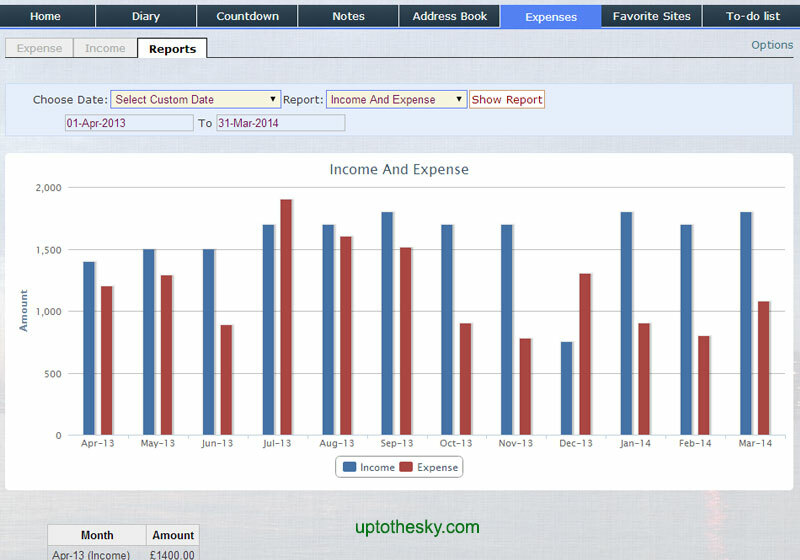 With uptothesky you can record your income and expenses and see reports in charts or graphs. It is so robust and useful that you will be surprised. This expense manager can also be used as a bookkeeping software for your business.